Written by Kaveesha Naicker (CREW intern), photos: CREW. 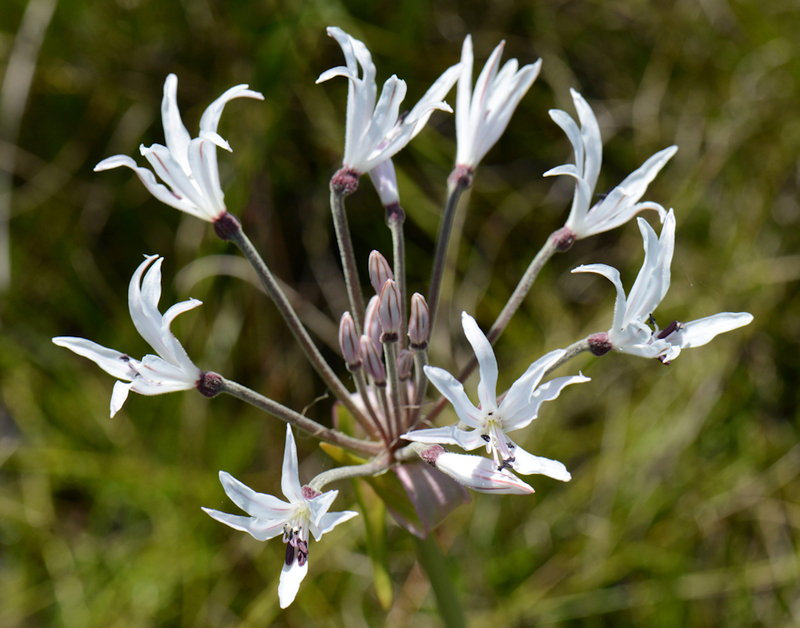 Nerine pancratioides, referred to as the white nerine, is a plant that grows to 600 mm long. It was previously observed in parts of the Midlands, south-western KZN as well as in north-eastern Lesotho. However habitation loss and destruction has caused a significant decline in the species population size in several of its localities, in some instances even resulting in extinctions. Deterioration of wetlands in the form of overgrazing, alien plant invasions and damming are major concerns for the population’s survival. The plant grows in moist areas with acidic soils, on banks of streams, in grassy depressions and in seepage areas on steep hillsides. The leaves grow to 300 mm long, are narrow, round at base and almost flattened towards the top. The stalk is robust growing to 600 mm long. The sheathing bracts are narrowly egg-shaped with sharp tips. The pedicels are densely covered with hairs, 300−450 mm long. 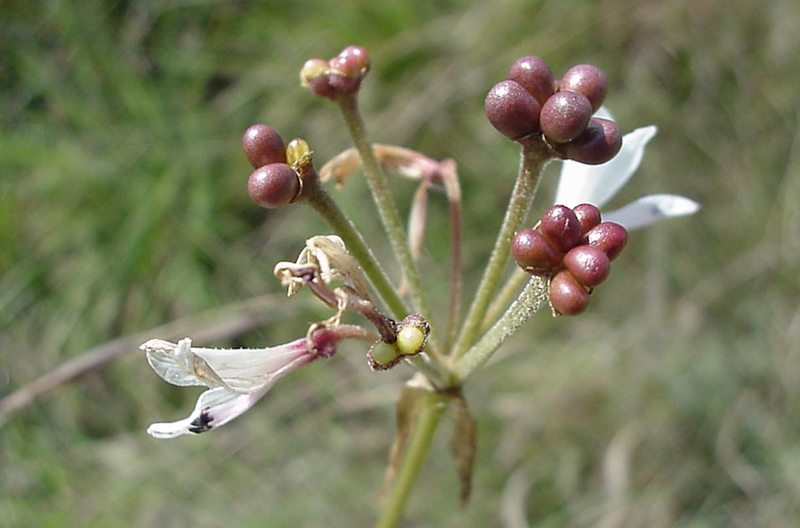 The inflorescence is umbel, 10−20. Tepals are ± 25 mm and white. The flowers appear between March and April and are known to respond well after fires have occurred.